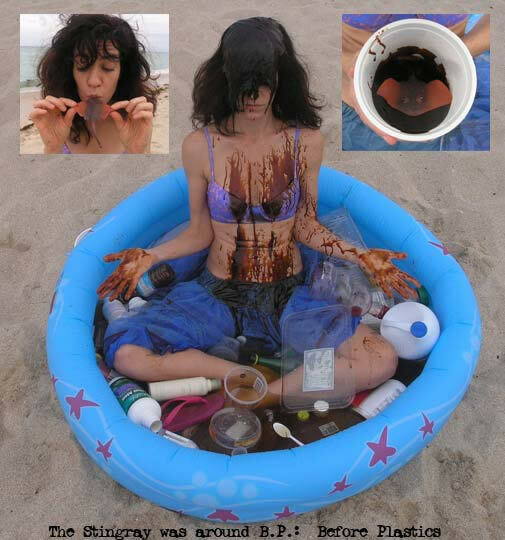 These are meditations on the ways that mermaids, stingrays and Odessa the mermaid Barbie are confronting the phenomena of landfall, our pathological single use consumption, and the horrific, irreversible dilemma of massive plastics and petroleum pollution in our planet’s oceans. Artists: Elizabeth Doud and Neil de la Flor. As we prepare to jury this year’s Monitoring Art submissions, we offer you an opportunity to see some of last year’s selections. Featuring selected video art works of 2009 Monitoring Arts winners Clifton Childree & Nikki Rollason, Russell Chartier & Paul Botehlo, Alette Simmons-Jimenez, Juan Carlos Espinosa & Xavier Cortada.